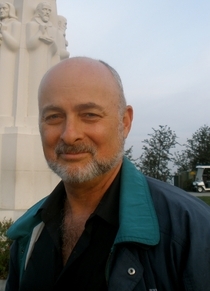 See David Brin's author page. About meDavid Brin is a scientist, speaker, technical consultant and author. My novels have been New York Times Bestsellers, winning multiple Hugo, Nebula and other awards. At least a dozen have been translated into more than twenty languages. My 1989 ecological thriller, Earth, foreshadowed global warming, cyberwarfare and near-future trends such as the World Wide Web*. A 1998 movie, directed by Kevin Costner, was loosely based on The Postman. I served on advisory committees dealing with subjects as diverse as national defense and homeland security. I speak widely on astronomy and space exploration, SETI and nanotechnology, future/prediction and philanthropy. My non-fiction book -- The Transparent Society: Will Technology Force Us to Choose Between Freedom and Privacy? -- deals with secrecy in the modern world. It won the Freedom of Speech Prize from the American Library Association. As a public "scientist/futurist" I have appeared on TV, including, most recently, on several episodes of "The Universe" and on the History Channel's "Life After People."